You can remove a single swatch, several swatches, or the entire .package. Can someone to make a tutorial about how to change the CC chairs and CC tables to be compatible with Dine out ? "New slots have been added to tables to allow for colouring on placemats. You can fix cc tables quite easily by exporting the rig and slot binary files from an official table, and importing them to your cc table. You just have to match the right table size (eg 1x1 or 1x2). You should look at the Tag entries in the Catalog Product resource (0X319E4F1D). In this case the tag you are likely missing is 1006, which flags the item as a Dining Chair. Bar stools should be flagged as 1008. Another tag of relevance is 26625 which flags the object as a Restaurant Item so it appears in the catalog when that filter is applied." See even the post above this. I'm a newbie to S4S. I have v. 2.7.0.5. As my first project I want to reclassify a cc chair to be used in restaurants. I got info on how to do this from a post on Tumblr this morning. They were similar to the post from phoenixc above. I went into S4S but I could not find Product Resource (0x319E4F1D)or Warehouse. I have read the tutorial on how to do this. I found my way to the Venue section. There are only boxes to check for Bar and Café, nothing for Restaurants. Do I use Bar and café for a restaurant? Thank you. Any help would be appreciated. I'm asking if the latest version of S4Studio can read a single package or merged of CC, that means that package is compatible with the latest patches and Dine out? I'm talking about objects (build/buy) not about hair and clothes. phoenixc If S4S can read/open packages or merged CC that doesn't mean that the package is compatible with the latest patch. I saw you asked for tutorial how to add the tags and I actually made a quick how-to it a few days ago. severinka batch fixer to fix the chairs for Dine Out is on the way. Orangemittens told that it will be in the next version of studio. As for now I fixed almost all of my chairs manually skipping some that had too many resources to edit. I have been looking over the forum, but cannot find the answer I am looking for. I know I can change CC clothes and buy object categories, but can I change the category for CC flooring and wall treatments? For example, I have down loaded walls that would fit better into wallpaper but are labeled paint. Just thinking I could find them better when I needed them. Thanks for any help, the Studio has helped me remove so many CC items I never used. Hi daler1969, welcome to Studio forums. The My CC tab does not yet include wall.packages. It's possible to change the categorization of walls by opening the .package using the My Projects button instead. This will take you to the model viewer page where the wall will be displayed in the 3D viewer. There is a tab that has the wall categories in check boxes and you can change the categorization by adding/removing the checks and then saving. 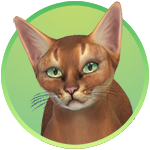 You can open the .package that is in your Sims 4/Mods folder using the My Projects button. Just be sure to save and close the .package before starting the game. If you try that and run into questions let me know. This changes the way I play Sims. It's brilliant!